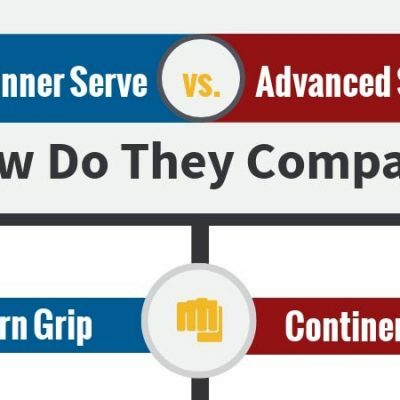 If you want to take your tennis game to the next level, you need skill, endurance and speed. You can learn new skills through applying technique. And speed? Plyometrics are your ticket to explosive movement and power. Plyometrics are all about speed. They are specific types of exercises that train the muscles to use their natural elasticity for explosive movement. 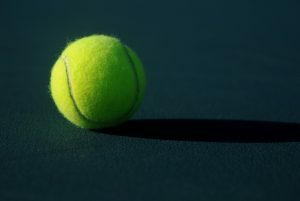 There is nothing else you can do that will add more power and explosion to your movements, which is ideal for tennis. Basically, plyometric tennis uses quick, explosive movements that cause a rapid lengthening of the muscle followed by a short contraction. Olympic athletes, MMA fighters, gymnasts and all serious athletes use some form of plyometrics in their training routines. 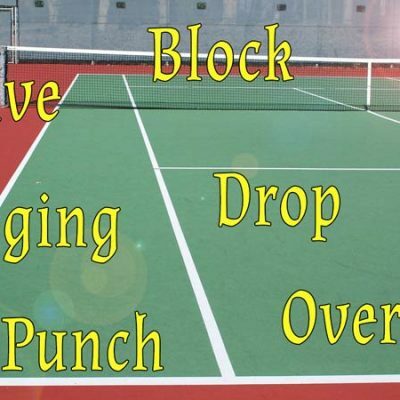 While there are over 100 different plyometric exercises, we’re going to focus on the top nine for tennis. I chose these specific exercises because they train all the muscles required for a great tennis game. Some of you might be wondering where weight training fits into tennis. I believe moderate weight training is fine if you have the time and inclination to do it. But in my own experience, and that of my clients, it is almost completely unnecessary. This is because weight training uses slow, static movements which are not relevant to an explosive sport like tennis. Plyometrics, on the other hand, use rapid movements, which more closely mimic the quick motions needed in tennis and most sports. 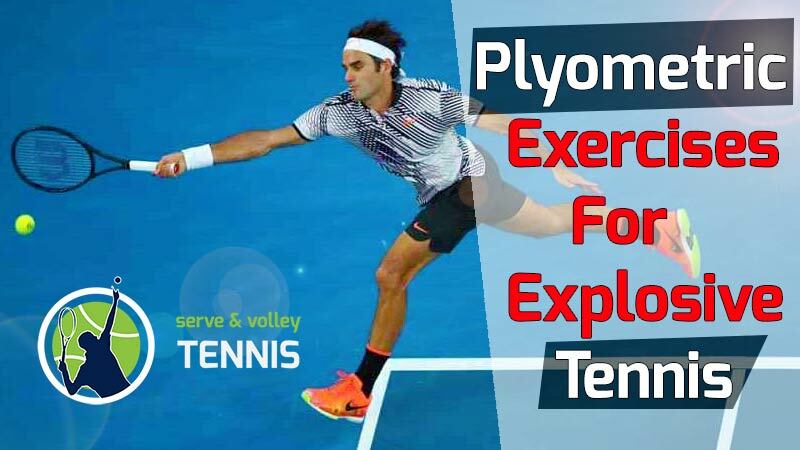 Now that we have a clear idea of what plyometrics is, and how it can benefit our game, let’s jump into the nine best plyometric drills for tennis. Get ready to sweat. Oh, one caveat before we continue. These exercises require varying degrees of athleticism and joint fitness. If you physically can’t do an exercise, skip it, or modify it to your level of ability and age. If you have a problem doing all the exercises in this post, better to start with fewer reps and steadily increase over time. These are one of my favorite plyometric exercises for tennis because anyone can do them. They build up leg strength and help with your explosion coming out of the split step position. I often have my kids do frog jumps and I perform these exercises right along with them. This exercise activates all the muscles in the legs and takes a lot out of you, so start slow. Bend your legs about 90 degrees, thrust arms back and lean forward. Take as big a leap as you can forward. Do not move your feet at any time during the jump; simply jump from where your two feet are positioned. After you jump, you should land on two feet. Simply repeat until you finish. I love doing squat jumps as they increase vertical leap and the speed of your jump. These are especially helpful on high shots. For example, when I’m playing the net and a high shot approaches (and it’s going in), I will typically jump up quickly to reach the ball. If I’ve been doing weighted squat jumps, I definitely feel like I get up quicker and higher. This exercise will also help with the serve or any stroke requiring you to jump in the air. You’ll need dumbbells to perform these to best effect. I like to use 20 lb. dumbbells in each hand, but you can start with the amount appropriate to your age, weight and ability. Stand with feet shoulder-width apart and your arms hanging at your sides, holding a dumbbell in each hand. Bend down all the way to the ground so you are in a full squat position. Now explode up into the air as fast and high as you can. Land on your toes and then slowly descend again to the full squat position. Explode up again in a quick jump. I suggest starting with 5 reps of 3 sets if you are fit. For those in super-good shape, you can do 3 sets of 8-10 reps. This exercise, like most plyometric drills, take a lot out of you. After I do 3 sets, I’m done with this exercise for at least a couple of days. If you don’t have dumbbells, still do the jumps. You can add a few more reps. For those with joint issues who want to do this exercise, perform them on a soft surface that is friendly to your knees. I can usually find a padded surface at the gym in which to do these. It works much better than hard tile or wood floors. In tennis, strong legs are essential for good movement and power. This drill will work on each leg, one at a time. Most of us, even if we don’t know it, have a strong leg and a weaker leg. This exercise will quickly inform you which leg is your weaker one while improving your balance. In tennis, we often hit off one leg. I love this drill because it strengthens both legs, allowing us to effectively hit off either leg. The result is increased forehand, backhand and serve power. Just a warning, but this drill can be very tiring on the legs, so start slow. A simple chalk mark, string or agility ladder on the ground is all that’s necessary. If you have access to a court, you can do this drill on it without those things. Several variations are possible of this exercise. I will go over the three I use the most. The First Variation – Sideline to Sideline. Stand one leg at one side of the court. Hop on the same one leg to the other side of the court. You can move parallel to the net – going from one sideline to the other. Return back to the same side you started hopping on the same leg. You can then switch legs and do the same circuit on that leg. Second Variation – Hopping over the sideline, service line or baseline is fine. On one leg hop forward over a line. Then hop back over the line, into the same position you started. Repeat at least 5-6 times. Then perform this drill on the other leg. Third Variation – will have you moving side-to-side on one leg. Turn 90 degree so you’re looking down the line. You should be on one leg. Hop to your side, over the line. Then quickly hop back over the line to the same you started. Repeat at least 5-6 times. Do this drill on the other leg too. If you are just starting out, I would suggest doing all three variations but taking it easy. You might hop on your right leg from sideline-to-sideline once and then return on your left leg once. For the other two variations, you can do 2 sets of 5-6 reps on each leg. Remember, your body is the greatest indicator of your physical well-being. If you feel like you can do more, do them. It not, cut back some and build up your rep range over time. This is an awesome drill for helping you get down on the low shots. 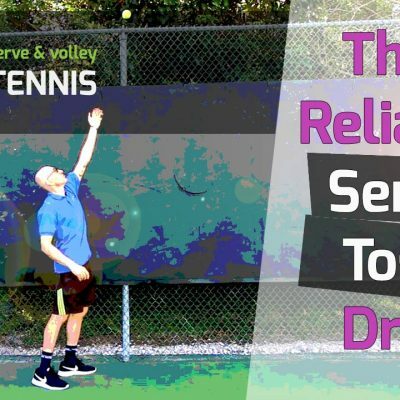 I think all of us struggle with getting low, so this drill is great for everyone who plays tennis. When I play, I am often forced to hit low volleys. The dipping topspin shots from today’s rackets translates into a lot of low volleys. Sometimes I get so low my knee is almost touching the ground. Whenever I get this low, I feel like I’m doing a lunge, which is the basis of this plyometric drill. If you’re one of those players who doesn’t get low enough, this is the one exercise you can’t skip! Start in a lunge position with right foot forward and left foot back. Your left leg knee should be on or near the ground and your right leg bent at a 90-degree angle. Jump off both feet into the air as high as you can. In mid-air, adjust your feet into the opposite lunge position – left foot forward and right foot back. Continue repeating until the drill is completed. For beginners, I recommend doing 5-6 reps and 2-3 sets. A rep is two jumps, where you basically return to the same starting spot. Intermediate and advanced athletes can raise the rep count but I wouldn’t recommend going past 3 sets to start. With any plyometric exercise, you don’t want to overdo it. If you play tennis, it’s important to not feel exhausted on the court. So keep your plyometric drills in moderation and space them out over a couple of days. When people think of plyometrics, box jumps are one of the first exercises they envision. No doubt, box jumps are one of the 3-4 core exercises in plyometrics. I see them used in almost every sport that requires explosion, including basketball, football, volleyball and MMA. Tennis is no different. The box jump will improve explosiveness from a starting position. It will also increase jumping ability for the serve and your reach on high shots. Most gyms have platforms to jump onto. If you don’t belong to a gym or own a platform, you can improvise and jump onto something that can support your weight. There are many variations of box jumps. I want to focus on three here. I recommend choosing a box height that you can comfortably jump onto. You want it to be slightly challenging but not too easy. The height is dependent on your height, athletic ability, and flexibility. Please note that if you have joint issues with your knees, box jumps should be avoided, as they heavily stress the knees. Stand about one foot in front of the box with feet shoulder width apart. From that position jump with both feet onto the box. Jump down to the floor and then repeat until all reps are completed. Note, if you can’t jump from a standing position, take a step back with one foot and use that momentum to jump onto the box. It’s easier taking one step back. Stand about 6-8 feet from the box. Take one step forward and make a small jump off both feet. After landing on both feet, jump again onto the box. Jump back down, step back and repeat. For this variation, you’ll need two boxes. Optimally the first box will be roughly half the height of the second box. Line them up, shorter box first, about 4-5 feet apart. Stand in front of the first (shorter) box with feet shoulder-width apart. Jump onto the box, landing on it with two feet. Without stopping jump forward onto the floor on both feet. Without taking a step, just off both feet onto the higher box. Jump forward and down from the second (higher) box. This is one rep. Walk back to the first (shorter) box and repeat until all reps are done. Box jumps can take a lot out of you, but they’re also a lot of fun. I suggest starting with one set of each variation. Beginners can do 5-7 reps and intermediate athletes can do 8-10 reps. Advanced athletes should stick with the 8-10 rep range but do a second set if desired. Box jumps, like most plyometrics, should be done twice a week. You can go three times per week if you have the energy and recover fast. The first five plyometric exercises focused on lower body, which is very much needed in tennis. Now we’ll turn our attention to the upper body. Plyometric pushups are awesome for working the chest, arms and shoulders. Unlike heavy weight lifting, the quick movements needed in a plyometric clapping pushup recruit a different type of muscle fiber – the one responsible for explosion, not pure strength. These pushups can be tough for beginners and some women, whose upper bodies are typically not as developed as males. If you can’t manage to do these clapping pushups, you can use a wall instead of the floor. The resistance is less but you will still gain from it. Get down on the floor into a pushup position with arms extended. You should be on your toes with your body as straight as possible. Your head and chest should be about as far from the ground as the length of your arms. Lower yourself to the floor so that your body is almost touching it. With a burst, push off the floor and clap both hands together. After clapping both hands together, return your hands to the same position on the floor. At this point your arms should be nearly full extended. This is one rep. Repeat continuously without stopping until all reps are completed. Again, if this is too difficult, you can lean against a wall and do them. If you can only do a few on the floor, do one and wait 3-5 seconds, then do another and so on until you go to failure. With consistent practice, almost everyone can build up to at least 5 reps of clapping pushups on the ground. Try going to failure on your first set. Take a minute to rest and then do another set to failure. Failure means performing reps until you can no longer carry out a single rep. Unlike heavy weights, this exercise won’t make you sore, strain your muscles or injure you. You can do this exercise every day if you want, but 2-3 times per week is fine for any level. For this drill, you’ll need a medicine ball. A 5-8 lb. ball is good for most people; kids can use a 3-5 lb. ball. I wouldn’t recommend using anything other than a medicine ball for the resistance. If a medicine ball drops, it won’t damage the floor and it’s soft enough that it won’t hurt anyone. What I like about the medicine ball is that you can mimic tennis strokes with it from all different stances. Unlike resistance bands (which we’ll get to soon) you can fling the medicine ball away from you, which builds up core strength. This is a great plyometric exercise for tennis and one of the best for improving weight transfer on groundstrokes. There are three variations of this exercise. We’ll go through all of them. Children and adults both can benefit greatly from this drill. 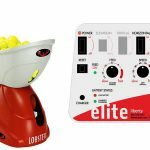 If you can incorporate it into your routine twice a week, you’ll see improved technique and power on both your forehand and backhand groundstrokes. Set up in forehand stance in a slightly closed position. For righties, your front foot should be slightly to the right (6-10 inches) of your back foot. For lefties, do the opposite. If you were playing tennis in the closed stance, your body would be facing the sideline, not the net. Hold a medicine ball with two hands on your forehand side. Twist your core so that the medicine ball is behind you, still holding it with both hands. From this position, explode forward, uncorking and throwing the medicine ball as far in front of you as you can. Your back foot should be slightly off the ground or on your toes. Note – If your coach, trainer or another person can stand in front of you to catch the ball, that would be ideal. They can toss the ball back to you and you will repeat the above steps. After completing all reps on the forehand side, do the same drill on the backhand side, also in the closed stance. You’re basically doing the same movement in this drill (so I won’t repeat the steps) except out of the open stance. The open stance is much different than the closed stance, so pay attention to the next segment. To find the open stance, face forward with feet greater than shoulder-width apart. If you were playing tennis, you’d be directly facing the net. When you toss the medicine ball forward, it’s important to pivot on the balls of your feet, bend your knees, and get low. This will help you elicit power from the ground. Use your core to rotate your trunk – don’t just take back the ball with your arms. Complete reps on the forehand side and the backhand side, remaining in the open stance for both strokes. In this variation, you will be doing the same movement of throwing the ball forward. Set up for your forehand in the closed stance. Your back leg will be on the ground and your front leg will be completely off the ground, about a foot in the air. Take the medicine ball back and throw it forward as far as you can. Your momentum will take you forward. This will cause you to hop forward, but land on your back foot only. Repeat until the desired rep range is reached then do backhands in the same way. You’ll be on your back foot on the backhand side too, and in the closed stance. This is a drill you can perform 2-3 times per week if you want. For beginner and intermediate athletes, I suggest doing one set of 6-8 reps per side (forehand and backhand) per variation. For example, for variation 1, do 6-8 reps on the forehand side and then 6-8 reps on the backhand side. Then do the same for variations 2 and 3. That equates to 6 total sets for all three variations. This is a great drill for increasing power and learning proper weight transfer for groundstrokes. I love resistance band training and serious athletes in every sport use them. No other device can match the type of resistance they provide the body while it’s in motion. There are over a hundred different variations that can be done with resistance bands. 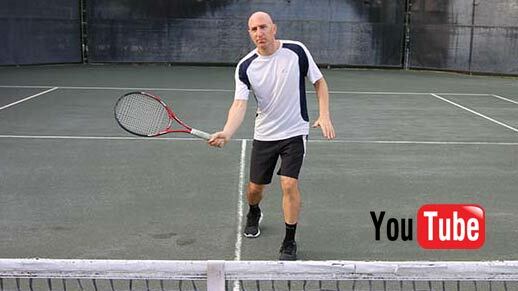 I selected three excellent variations that will specifically benefit tennis players. The consistent use of these three drills will improve your explosiveness from a starting position, especially moving forward and laterally. 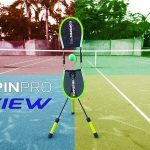 It will also improve your leg drive on serves, overheads and jumping shots. You’ll need resistance bands to perform these drills. 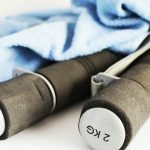 You can find cheap resistance bands for under $10 and they can work. But I prefer the brand Kbands Training because its resistance bands are more durable and they have bands for all types of movements. They’re a little more expensive, but if you’re serious about your training (like I am), they’re worth it. For this drill, you’ll need one long resistance band and a short cone or object to jump over. If you can add a leg resistance band (placed around the thighs) that would be ideal. However, it’s not necessary for the drill to still be effective. Put a long resistance band around your waist and attach the other side to a fence or immovable object. You will be standing to the side of it (not facing it). Now jump over the cone with both feet. You’ll be jumping laterally (to the side). 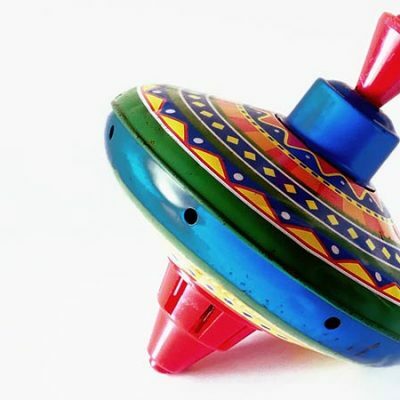 Land on both feet and then jump back to the starting position on the other side of the cone. Keep jumping side-to-side as fast as possible with no stopping. Once the desired rep range is completed you can stop. You’ll need the same materials and props for this drill. Set up the same way but this time place the cone in front of you. Instead of jumping laterally, you’ll be jumping forward (over the cone) and jumping backward (over the cone). Jump off two feet and continue going over the cone, jumping forward and back. For this drill, you’ll need the long resistance band (a bungee cord also works great), your racket, and a fence or person to hold the cord. If you use a bungee cord, have someone else hold one end to apply resistance. If using the resistance band, attach to a fence or immovable object. Place the resistance band or bungee cord around your waist. Stand close to the object or person the other end is attached to. Set up in the ready position. Your body should be facing forward, feet wider than shoulder-width apart. Step out to your right (if you’re right-handed) for 3-4 steps and then set up in the open forehand stance. You should feel a lot of resistance at this point. Left-handers will move to their left. Take a forehand swing and then return to the ready position and cross-step or shuffle back to your starting point. This is one rep.
Once you complete your desired number of reps on the forehand side, switch to the backhand side. Again, you’ll start from the ready position and take 3-4 steps to your left (for righties). Lefties will move to their right. Set up in the open stance for the backhand, take a swing, and then return to the ready position. You can cross step or shuffle back to the starting point. You should feel a strong resistance when making your swing. If a person is holding the bungee cord, they can add resistance by pulling you a bit more when you make the swing. This drill will improve footwork speed and ability to hit out of the open stance, which is so necessary in modern tennis. For the first two variations (lateral jumps and front to back jumps) I suggest starting with one set of 10-12 reps for each exercise. You can do a second set as you build up your fitness. For the last variation, do 2 sets of 5-7 reps for each side (forehand and backhand). Perform all these drills twice a week for best results. The agility ladder is another tool that has become ubiquitous in sports training. Plyometric ladder drills are most often used in football, but tennis players can benefit tremendously as well. How quickly you can move your feet and get on and off the ground account for a lot in tennis (and sports). The serve and volley game has special demands on your agility as you need to be able to quickly cover a lot of ground when you rush the net. Your serve and volley drills will all benefit from the use of an agility ladder. If you look at the best players in the world like Novak Djokovic, you’ll see him taking many quick, small steps to adjust his body to the ball. You’ll also see him split stepping, which is jumping slightly off the ground and back onto it repeatedly throughout a point. Nothing helps us better with this kind of footwork than the agility ladder. 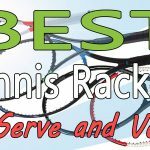 While there are dozens of agility ladder variations, I want to touch on the three that most help with tennis. For this drill, you’ll need an agility ladder, like this set on Amazon. Place the agility ladder on the ground and start on one side. You’ll be facing the long side of the ladder. Start off with both feet together and jump to a position so that both feet are wider than the ladder. Next jump into the first open space or square on the ladder. You should be landing with both feet together. Jump forward with both feet apart landing outside the ladder. Then jump into the next open space with both feet together. Repeat until all the way through the ladder. Your feet should land inside every open space on the ladder. I picked this drill because it simulates the split step very well. If you only have time for one agility ladder drill, do this one. Start off in the same position as the last variation but turn your body 90 degrees. You’ll be going through the ladder laterally (or to the side). Put your right foot in the first open space and then take out and put into the next open space. While doing that, simultaneously put the left foot in the space the right foot just came out of. This needs to be done fluidly and quickly. Repeat until all the way through the ladder. This drill is good for lateral movement and making very small steps. It works to increase ground-to-contact speed. This drill is similar to variation 1 except you’ll be landing on just one foot in each open square. Start with feet together facing the long end the ladder. Jump forward with both feet landing wider than the ladder. Land on the first square with your left foot. Jump so that both feet land outside the ladder. Then jump again so that only your right foot lands in the next square. Jump off your right foot and land on both feet outside the ladder. Jump back onto your left foot in the next square and keep alternating feet until you reach the end of the ladder. This drill looks cool when done fast and will isolate each leg. I believe it’s important to isolate the legs on at least some drills. Try to move through the ladder as fast you can through all three variations – but without sacrificing form. I consider one time through the agility ladder as a rep. If you have never used an agility ladder, or it’s been a while, you’ll need a few times using it to coordinate your feet and movements. Once you do, perform 3 reps of each variation per session. Whether you know it or not, sprinting is a form of plyometric exercise. I didn’t mention it in the nine listed exercises because almost everyone knows that sprinting is important. My tennis game only took off after I started implementing a sprinting routine in my training. A month or two after consistently sprinting, I was able to beat players I never had beaten before. I also discovered I could use sprinting in place of all other cardio! I did away with the 3-mile runs and 20-minute sessions on the Stairmaster in favor of twice-weekly sprint sessions. Not to downplay any of the exercises in this post, because they’re all of tremendous benefit, but nothing is better than sprinting. In my opinion, it’s the single most important plyometric exercise to increase athletic ability in any sport. It builds conditioning, works the entire body and will absolutely take your game to the next level. Kids and young adults can do a lot of sprinting without fear of hurting their joints. When we get older, our bodies get stiffer, things hurt and so we stop running at full speed. I believe this is a mistake. You should be doing wind sprints at least once a week, and optimally twice per week. More than that is unnecessary. If you haven’t sprinted in a while, start off 60-70% speed and work your way up to 100% after 3-5 training sessions. If you go 100% from the start, you’re likely to strain or pull a muscle. At a minimum, you’ll be very sore the next few days. Learn from my mistakes and start off 60-70%. I like to sprint on a track because it’s softer than pavement, it’s meant only for running, and there are no obstacles. But if you can only sprint on pavement, that will work too. I like to get down into a sprinter’s crouch. From there, I explode forward (I’m no Usain Bolt, but I do my best) and run for 50-100 meters. I’ll typically walk for 30-60 seconds as soon as I’m done sprinting. I then get down into a sprinter’s crouch again and run for another 50-100 meters, repeating the process until all reps are done. If I feel tired, I’ll take additional time between reps, but not too much. I do a minimum of 6 sprints per session and a maximum of 10. Anything more and I feel like I’m really slowing down. I think 6-8 reps per session is ideal for the intermediate to advanced athlete. Twice a week is good enough for sprints. If you’re advanced, you could go three, but you run the risk of overtraining. 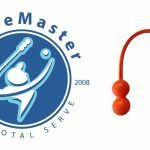 The exercises in this post are my all-time favorites for tennis. Try them all out and stick with the ones you derive the most benefit. Or, you could vary them, as I do. For example, suppose you do three training sessions per week of 45 minutes each. In the first session, use three of the drills listed here. In the next training session, use three more. And in the final training session, utilize the remaining three. In this way, you can hit all the muscle groups in one week. You can also vary the combinations of drills used in each training session from week-to-week. This keeps your training fresh and interesting by always changing it up. I find that my tennis students like variety in their training as well. Don’t forget to include sprinting when the opportunity presents. If you can’t make it to a place where you can sprint, just do it on the court. I’ll typically run from fence to fence in parallel to the net. I guarantee if you sprint and do at least one training session per week of the listed drills, your game will reach a level you’ve never known before. Keep at it and let me know how it goes. If you have any questions, leave them below in the comment section. Until then, train hard and strive to be the best. I know I do!